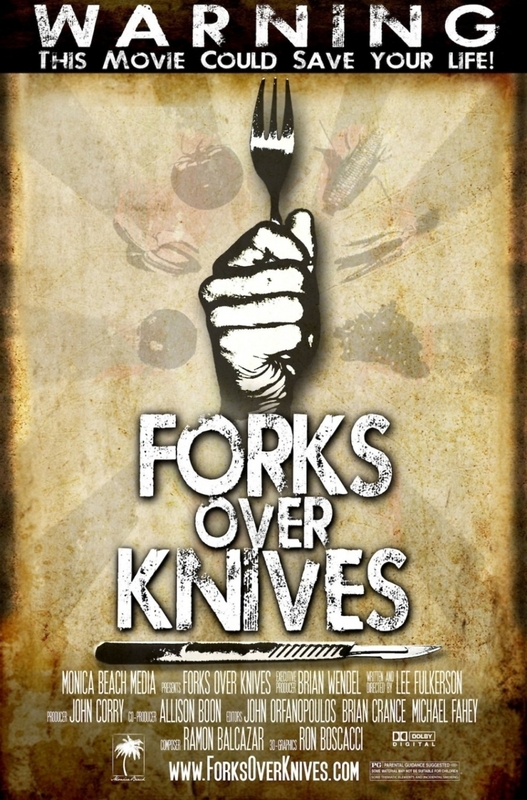 Forks Over Knives DVD and Blu-ray release date was set for August 30, 2011. The health benefits of adopting a diet free of animal fats is documented. The findings of two researchers are presented, indicating that the consumption of overly processed foods and animal products is a leading cause of health concerns such as diabetes and heart disease. The director alters his own diet and achieves a lower blood pressure and lower cholesterol. Patients with high blood pressure and elevated cholesterol are shown to improve after conversion to a vegetarian diet. Areas of the world where the population consumes minimal animal fat are demonstrated to develop fewer chronic diseases resulting from dietary choices. Statistics are presented to support the proposition that using a fork to consume whole food products is a healthier choice than slicing meat with a knife.